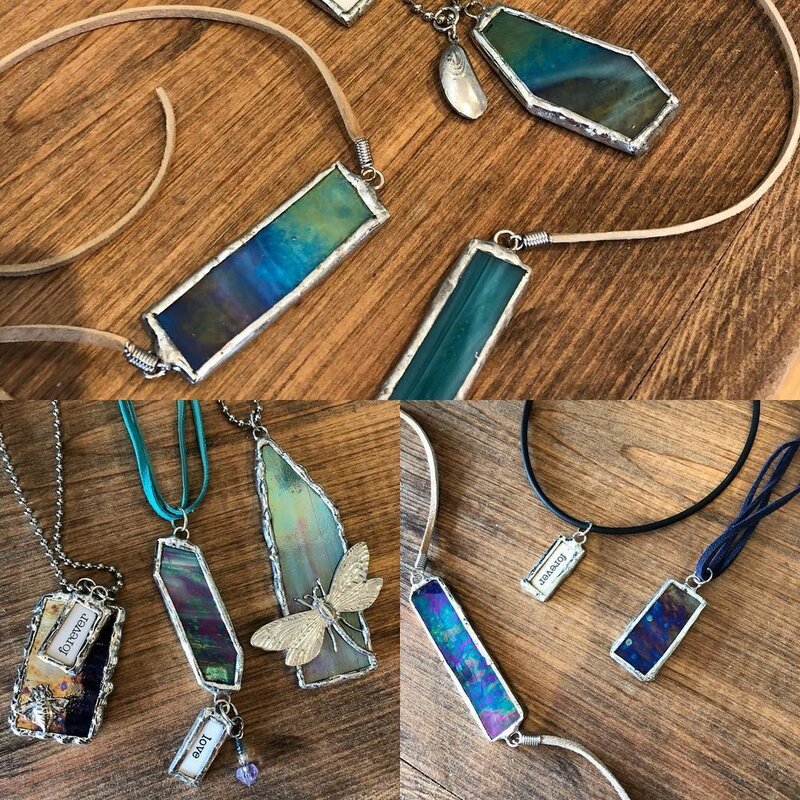 Craft your own unique pendant using vivid stained glass, silver solder, brass stampings, glass beads, crystals and various styles of chain & leather. Basic glass cutting and soldering methods will be taught during this 2 hour workshop and there is no prior experience required. This workshop is a great idea for a girls night out, celebration, team building, or even to make something special for yourself or someone else!! Each student enrolled in this exciting workshop will make a few pendants of various sizes to experience different colors and shapes that will have you amazed all designed by YOU! One pendant will be finished, with chain and all. The other pendants can either hang on the same chain or be a separate work to be hung on various suggested materials at your leisure. Learn a new skill and walk out wearing a one-of-a-kind necklace; a win/win! Food and beverages are encouraged. Please register as class space is limited! Class size 8 people. Pendant materials and studio shared tools used are included to utilize in the price.